Starring; Adam Levine, Christina Aguilera, Cee Lo Green, Blake Shelton, Christina Milian, and Carson Daly. NBC’s singing competition show “The Voice” continues the search for its season three winner by eliminating another talented singer. The final four are extremely talented and it would have been a surprise whom ever was chosen not to continue to next week’s show. Taking away “The Wind Beneath” his wings, the singer with the least amount of votes last night was revealed as the young 18-year-old Trevin Hunte who’s mission was to show his third grade teacher that he did amount to something. 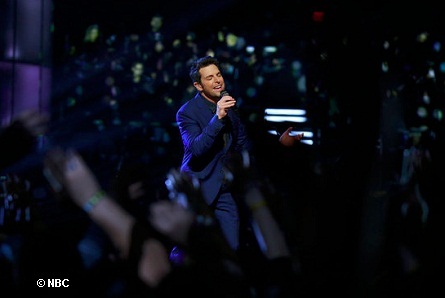 His endurance on “The Voice” proved that he is already a winner. During last night’s show, the name of the first finalist and artist who got pushed through to continue was from Team Blake Terry McDermott. The second finalist was Cassadee Pope also from Team Blake. It was down to Nicholas David and Trevin Hunte at the end of the night. Then it was announced that it would be Nicholas and NOT Trevin that would be moving-on to another week in the competition. In between eliminations Juliet Simms from last Team Cee Lo Green last season returned to perform as well as RaeLynn from Team Blake. 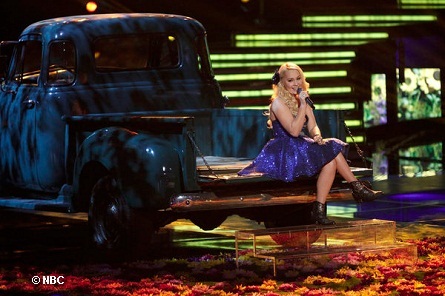 Watch THE VOICE “Top 4 – Final Results” Full Episode Aired Tuesday, December 11, 2012.